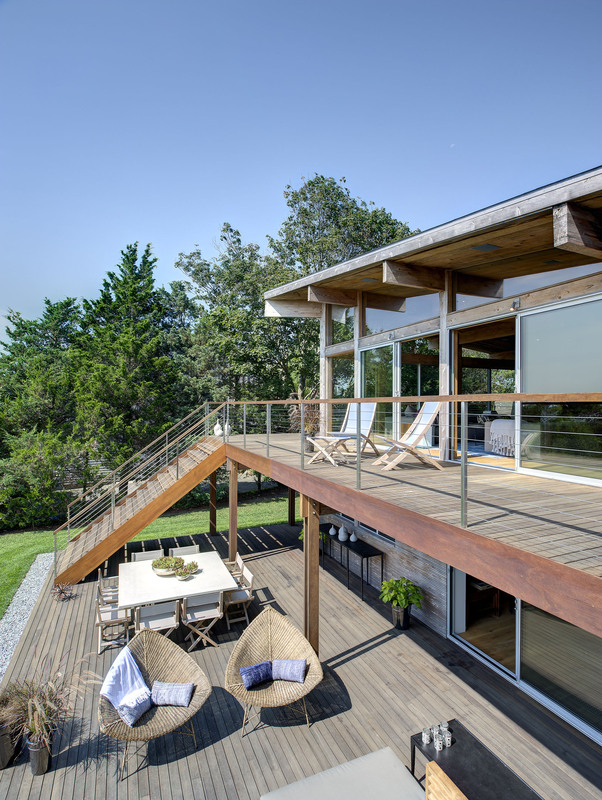 The original structure was a 1970’s kit house overlooking the wetlands to an estuary, the bay, and the ocean. 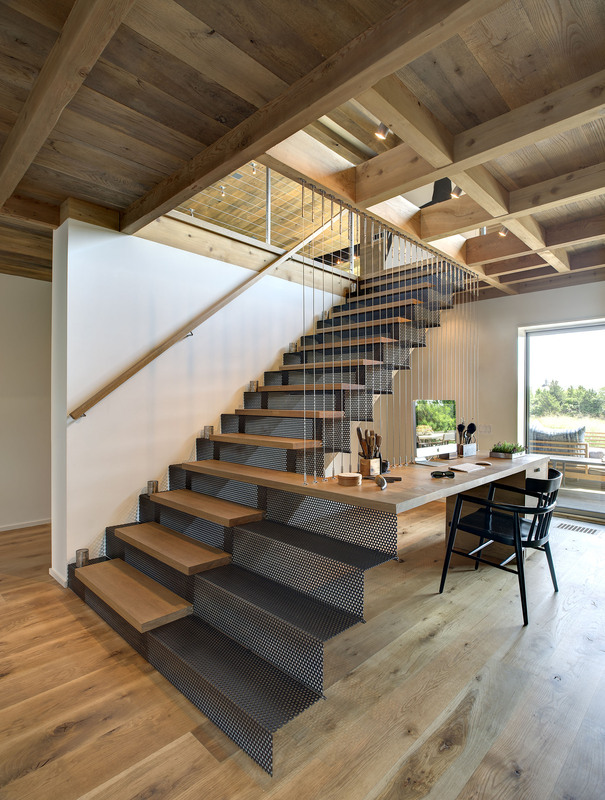 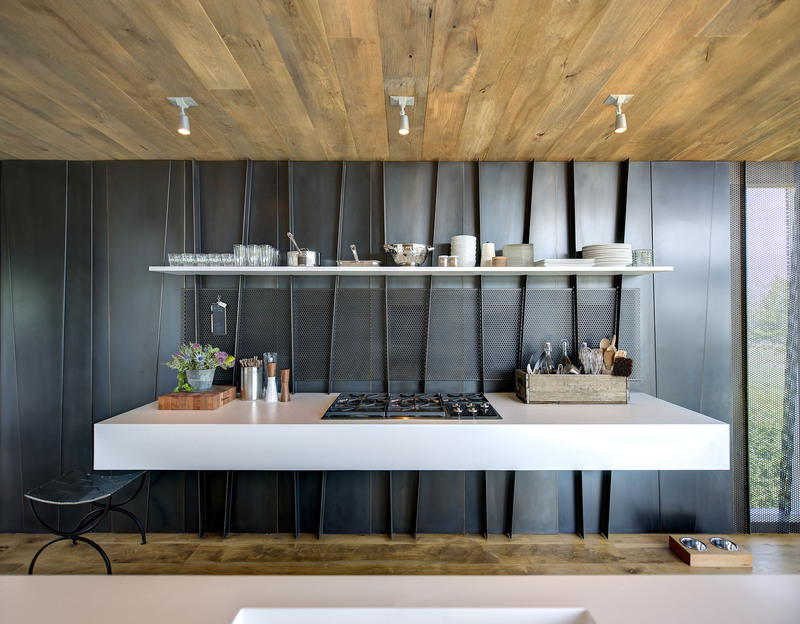 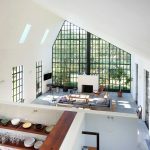 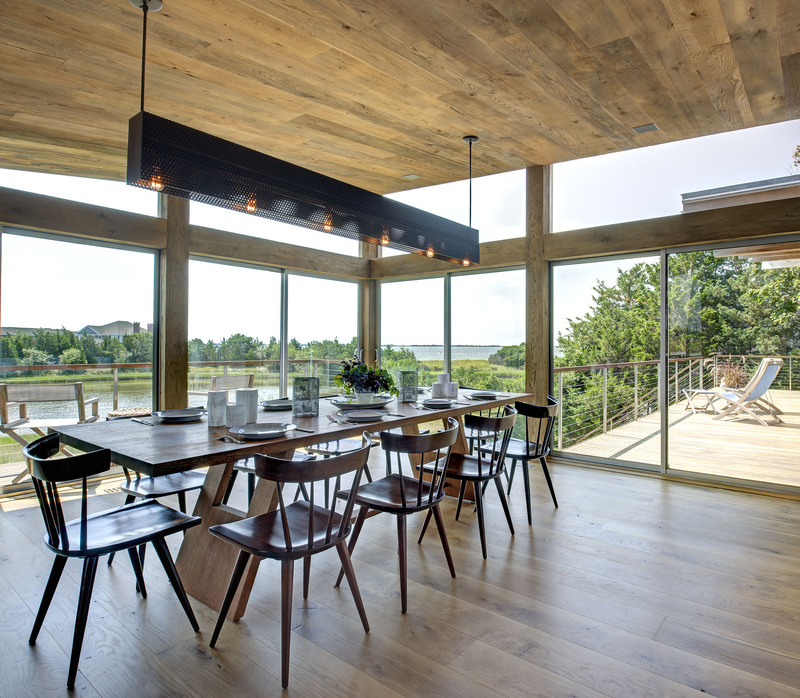 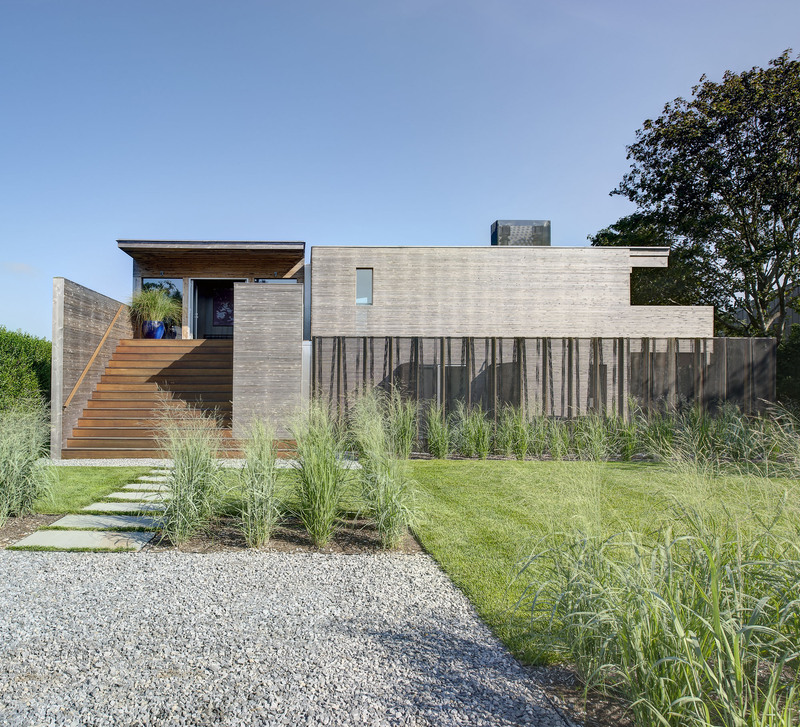 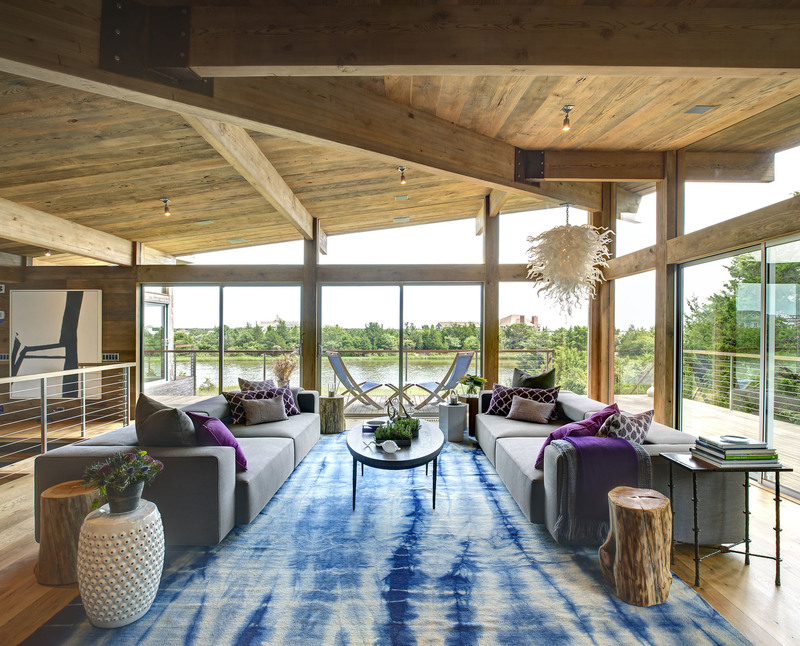 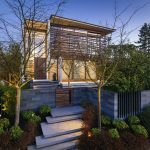 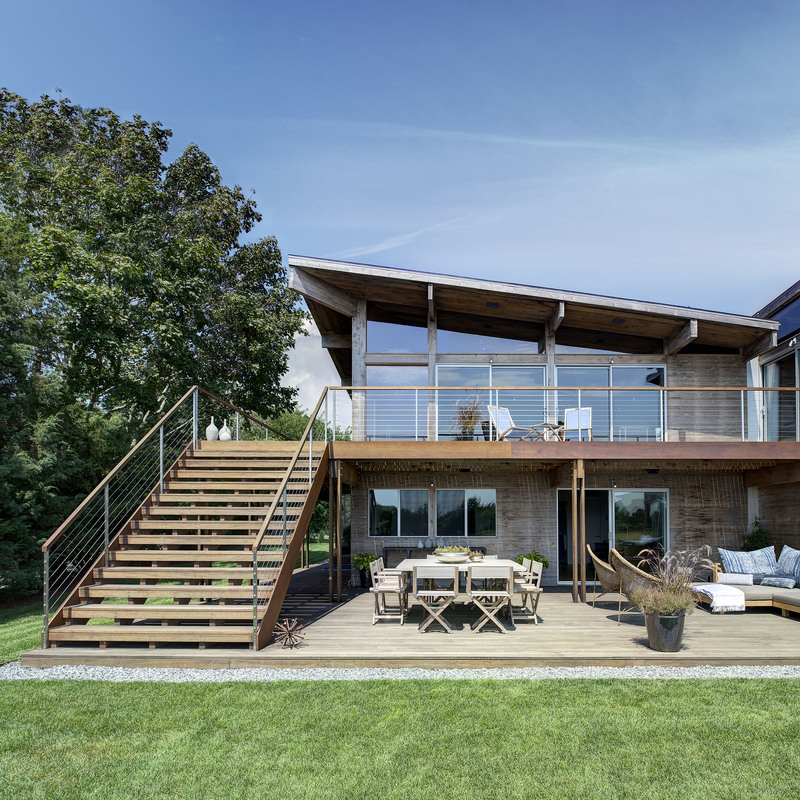 Bates Masi Architects kept the wood post and beam skeletal structure while using new material fabrication technologies to connect steel plates and create an addition to the home. 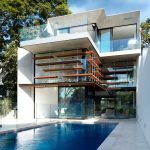 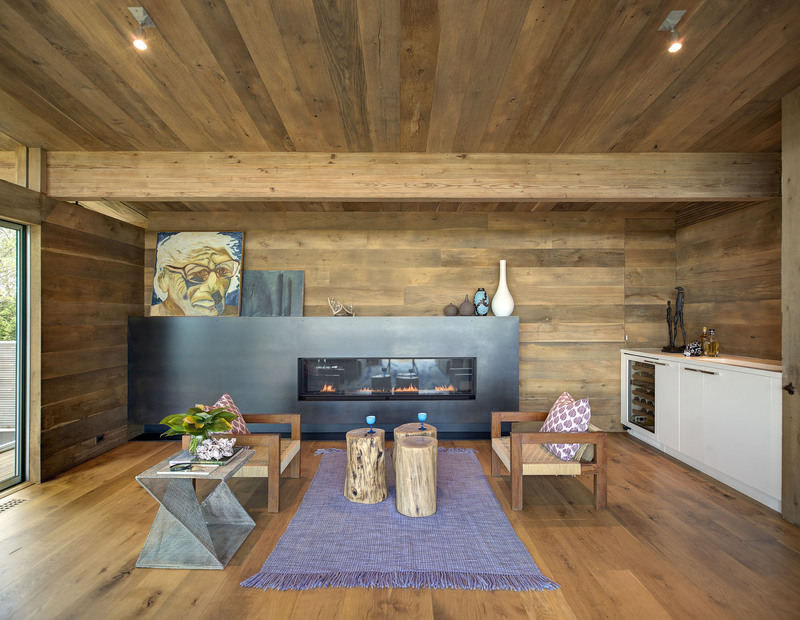 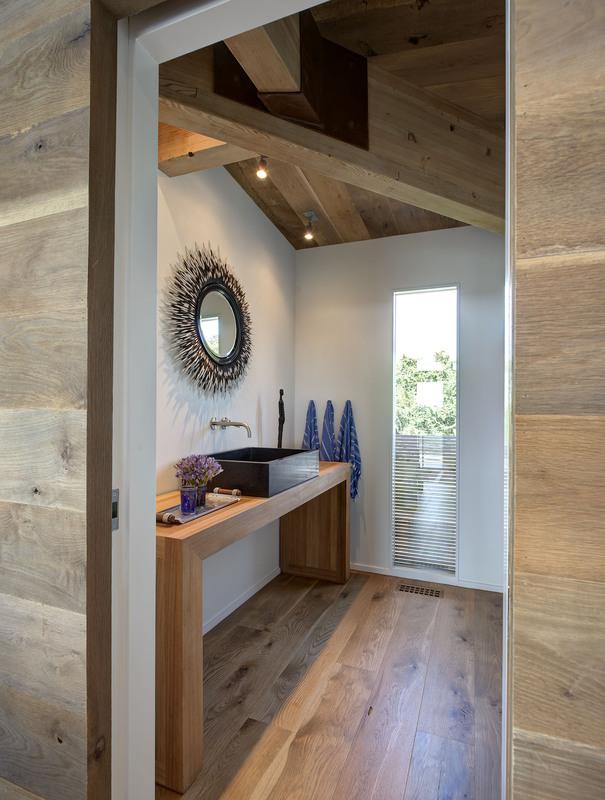 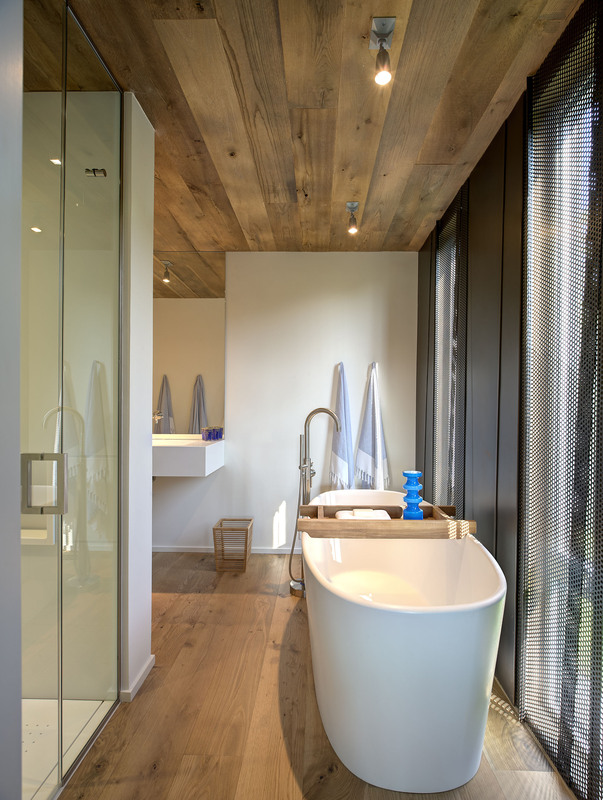 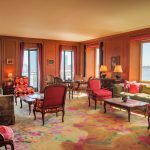 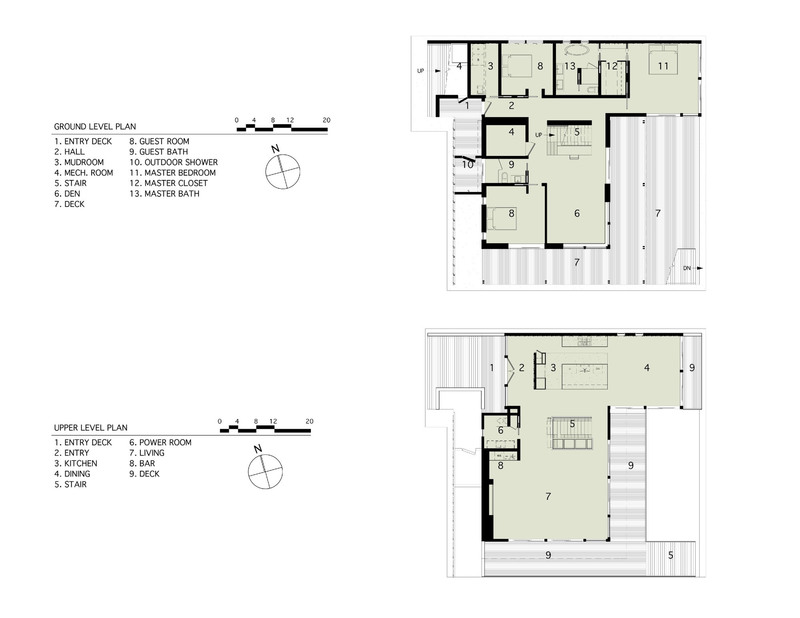 Inside the 3,100 square foot home, wood ceilings, walls and floors unify the interior living spaces.